Last weekend was a dream, I am convinced. So thankful to have all of these guys in my life, and its such an awesome feeling seeing them grow. 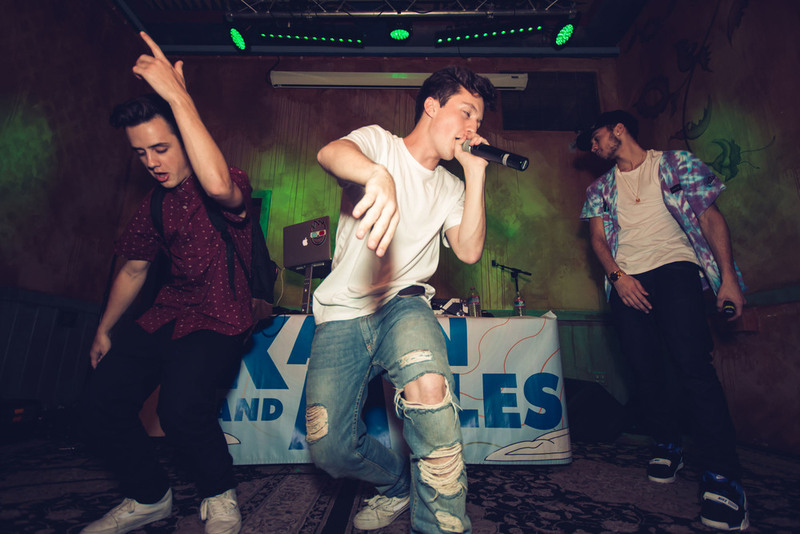 If you haven't heard of Kalin & Myles yet, now you have. Keep your eyes out for them because this is just the beginning. They're two of the most genuine people I know, along with their whole crew. My favorite group of people to work with. We had back to back to back sold out shows at the Regency Ballroom in San Francisco, and let me tell you.. I've never felt that type of energy in one room. Since there was 3 shows, I captured SO many amazing photos, so I'm breaking it down into days for you guys. NIGHT ONE: The first show of the weekend, so much anticipation. Here are some of my favorite shots from December 19, 2014. NIGHT TWO: The energy from this night.. was unreal. It was like a movie, everyone showed so much love for the boys. And yes, everyone was dripping sweat from all of the dancing going on, including myself. It was difficult to narrow down these photos, but here are my favorites from December 20, 2014. NIGHT THREE: December 21, 2014, the last show of the series. Getting to the venue was bittersweet. Excited for another show, but sad because it is the last one of the crazy weekend. 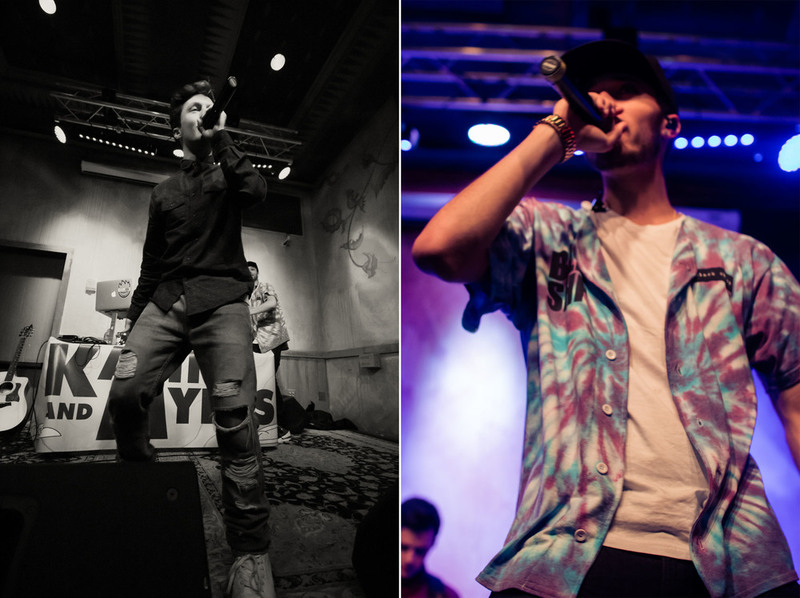 But.. Kalin & Myles had some awesome surprises for their fans. Derek King, Sage the Gemini, Iamsu & P-Lo all came out and performed with the guys, as if the energy in the room wasn't already insane.. Jakeey P also played some dope DJ sets. This show was really something special. Just one year ago, I was helping these guys on the set of their music video for Top of the World.. now they are selling out three back to back to back shows in San Francisco and going on another three month long tour across the country. No one deserves it more than them, and they truly love each and every one of their fans. I can't thank them enough for giving me these opportunities, and for just being great friends. I love all of you guys so much, can't wait to see you in February to kick off the Dedication tour in San Diego. Thank you for inspiring me to follow my dreams. So it's been over a year since I've been to Somewhere Loud in San Diego, and it is ironically enough where I shot my first nightlife event! So being back there was pretty great last weekend, and they have really put a lot of work into the venue. I had such a great time covering the show, and Figure, Josh, is one of the nicest people I've had the pleasure of meeting. You can check out a full write up about the event by Electric Sloth, link coming soon! Here are some of my favorite shots from the show! Had the awesome pleasure of photographing these great guys again a couple of weeks ago. Every time they're in the area and I get to see them, its always so much fun. They're some of my favorite people to work with. The show was in the Voodoo Room at House of Blues in San Diego, CA on November 9th, 2014. And let me tell you.. it was soooo full of energy!! Honestly, all of the Kalin & Myles fans never cease to amaze me with their dedication to these two guys. And its also always a pleasure seeing Cam, JakeeyP and Connor as well of course, you're all absolutely wonderful. Check out some of my favorite shots from the show. After the show, we hung out for a few hours in their hotel room, singing and laughing and just having a really great time together. I love and appreciate you two so so much, keeping chasing your dreams and I'll see you in December! Thank you for being such good friends.